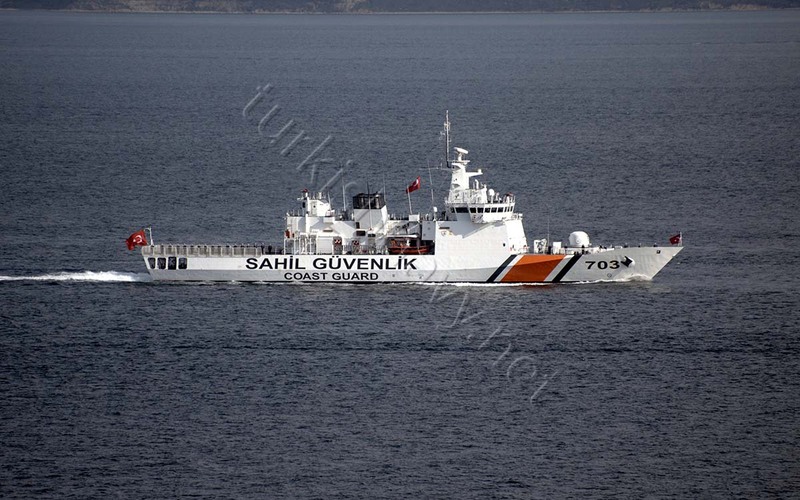 According to news reports Turkish Coast Guard vessel TCSG Umut and Greek Coast Guard vessel HCG Gavdos has collided when they were maneuvering near Kardak Islets. 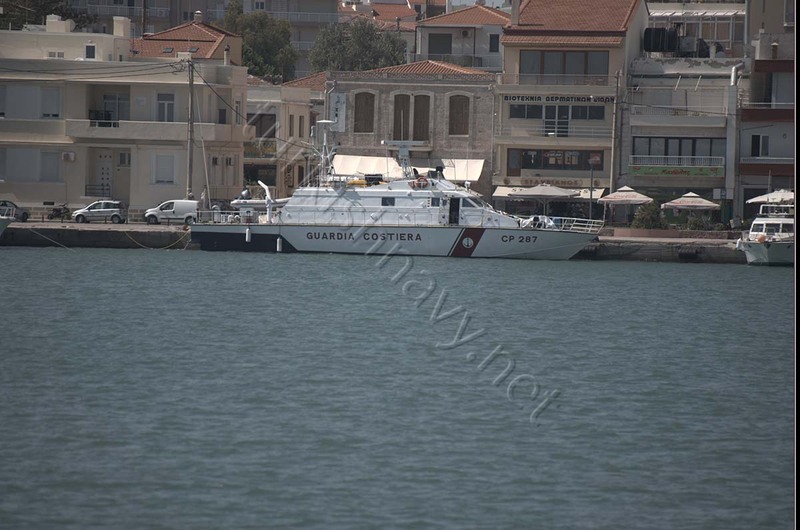 HCG Gavdos sustained damage and reported to be heading to Piraeus to be repaired. There are no reports about any damage on TCSG Umut. But her sister TCSG Güven has observed leaving her home port in Büyükdere Istanbul and heading to the south. It is at this moment too early to say whether she sailed to replace TCSG Umut. Since both sides are blaming the other for this incident it is not clear at this point how the incident really happened. But since TCSG Umut is the larger and heavier of the ships it is possible that HCG Gavdos may have bear the brunt of the collision. A bizarre incident happened today off the coast of Rhodes. 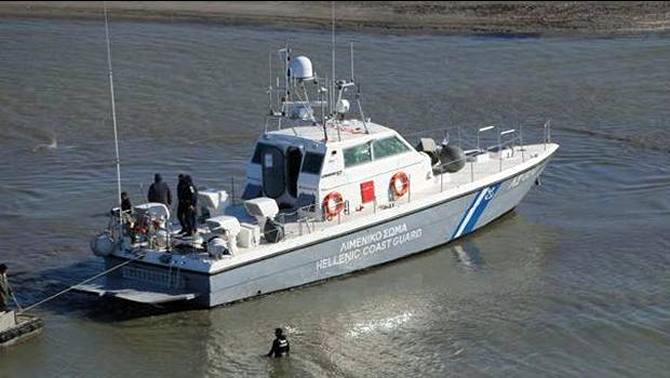 Greek Coast Guard fired 2 dozen rounds to the Turkish flagged merchant ship M/V Act to stop her. 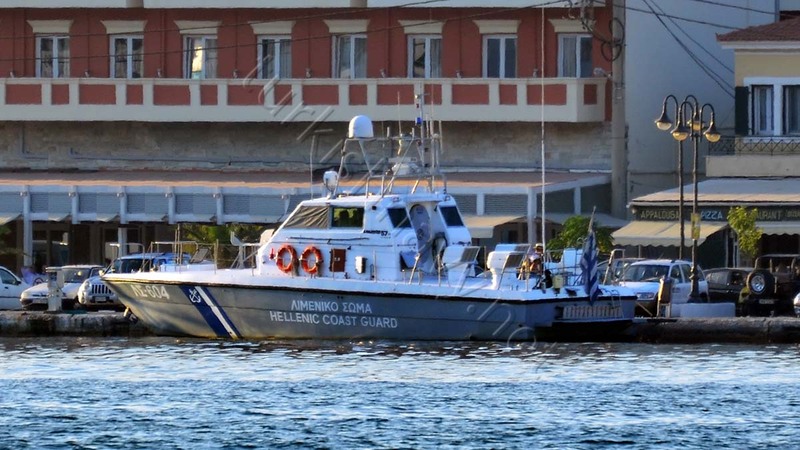 According to Greek Coast Guard, the Port Authority on the island received an anonymous call that the ship was carrying drugs. 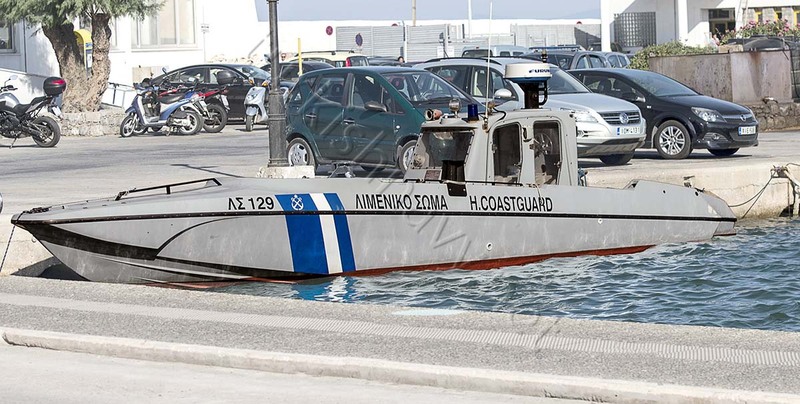 Thus the Greek authorities intercepted M/V Act. The merchant ship however refused to sail to Rhodes as ordered and changed her course to Turkey. Since the warning shot to the bow of the ship did not deter them to go to Turkish waters shots were fired to the funnel of M/V Act. 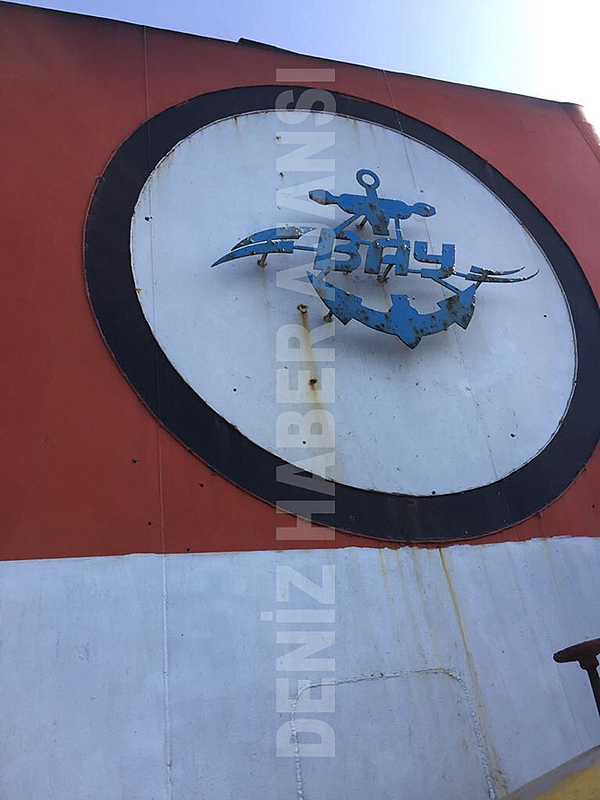 According to Turkish General Staff, two Turkish Coast Guard vessels and one Turkish Navy fast attack craft was sent to the area. 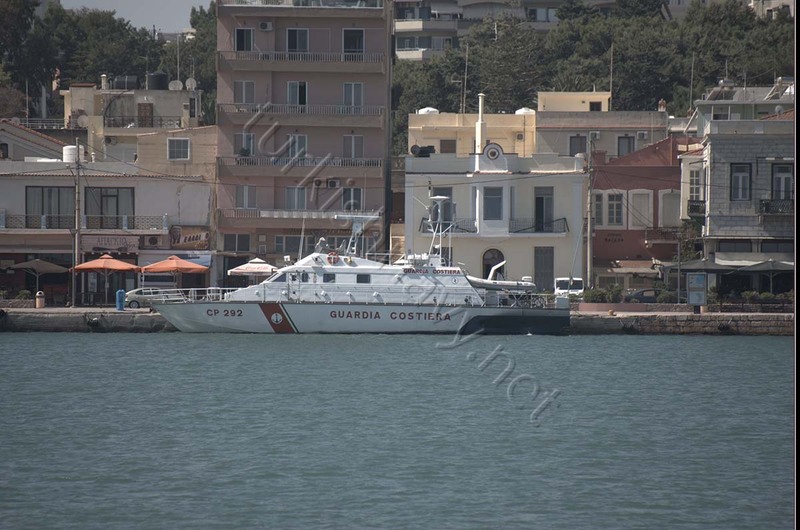 It is not clear at the moment there the merchant ship is exactly heading and whether Turkish Coast Guard will board the ship and search for the alleged narcotics. 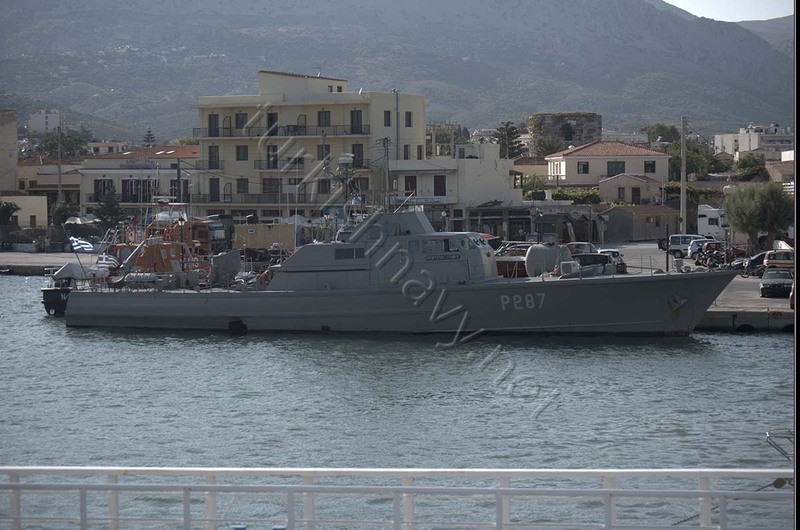 The Motomarine Pathner 57 MkII class patrol boat LS-604 of Greek Coast Guard ran aground inside Turkish territorial waters on 14 January 2015. 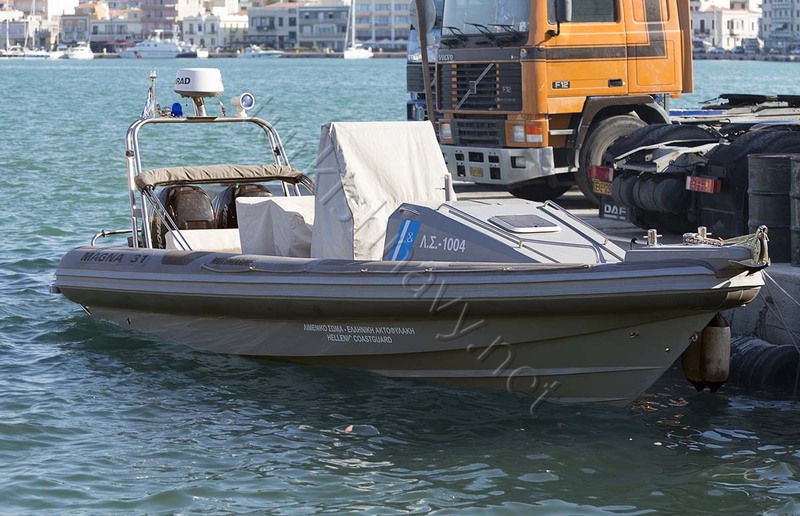 The boat was in hot pursuit of the fast motor boat Rüzgar009 which was suspected of smuggling. The incident happened at 00.21 according to Turkish Coast Guard. 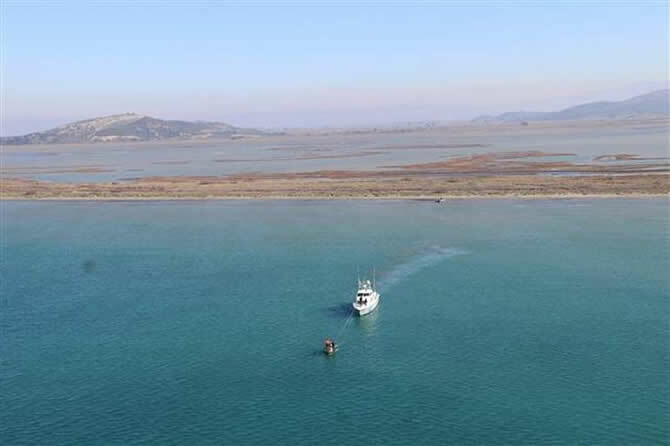 The grounding happened near Tuz Burnu north of Didim. Turkish Coast Guard dispatched one plane and several smaller boats to side at night. In the next morning one Dost class OPV and 3 smaller boats from Turkish Coast Guard were deployed to the incident side. The shallowness of the water made the re floating of LS-604 a bit tricky. The boat was however refloated on 15 January 2016 at 11.45. The hull of the boat did not suffered any damages but her main machinery was not working. 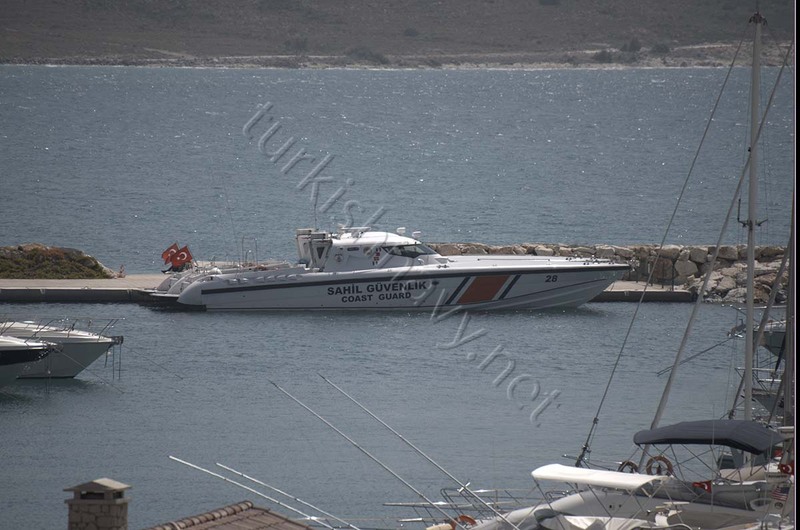 LS-604 was towed by a Turkish Coast Guard vessel to the outside of Turkish territorial water where the Greek Coast Gaurd vessel LS-020 resumed the towing. Below is an official video ofrom Turkish Coast Guard. The first 3 minutes were taken by the coast guard plane at night. 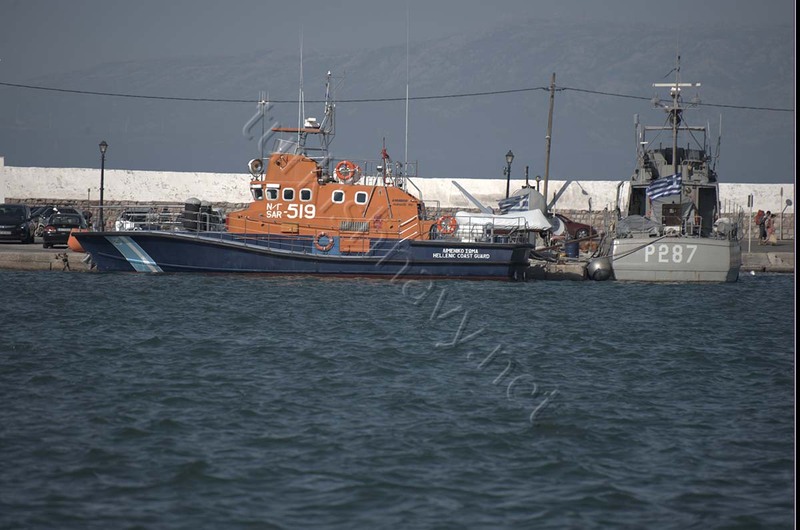 The fishing wars in Northern Aegean goes on. Today a new video was released showing a dog fight (I don’t know if this is a correct term to use on sea) between Turkish and Greek Coast Guard vessels. 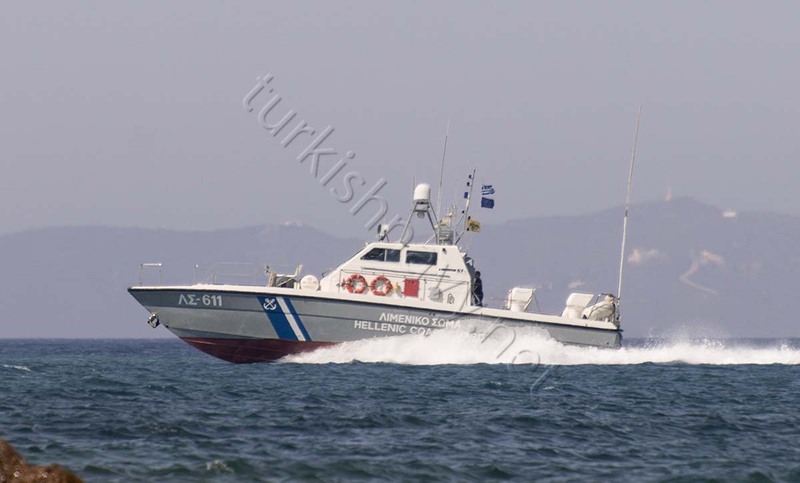 Being smaller the Greek boat has a higher degree of maneuverability but the Kaan 33 class, Turkish Coast Guard boat TCSG-308 was able to prevented the Greek Coast Guard boats coming to close to Turkish fishing boats. This video was taken on board of a Turkish fishing boat in Northern Aegean. 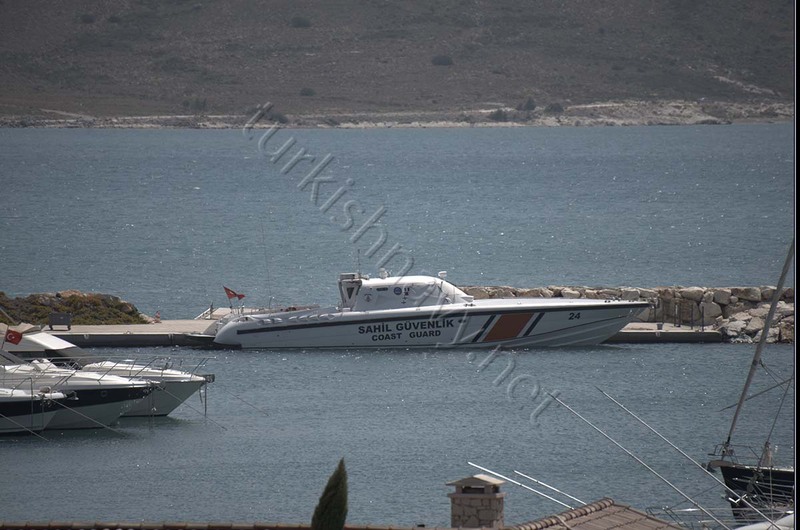 The Kaan 33 class, Turkish Coast Guard boat TCSG-308 prevented the Greek Coast Guard boats coming to close to Turkish fishing boats. On sea, size does matter.